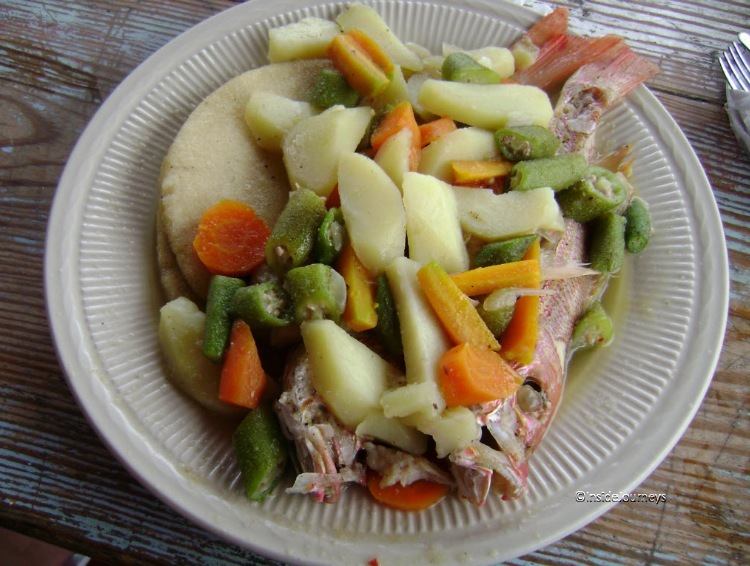 Way down on the southwestern coast of Jamaica, just over the Manchester border from St. Elizabeth is a seaside restaurant called Little Ochie (not to be confused with Ocho Rios on the island’s north coast). 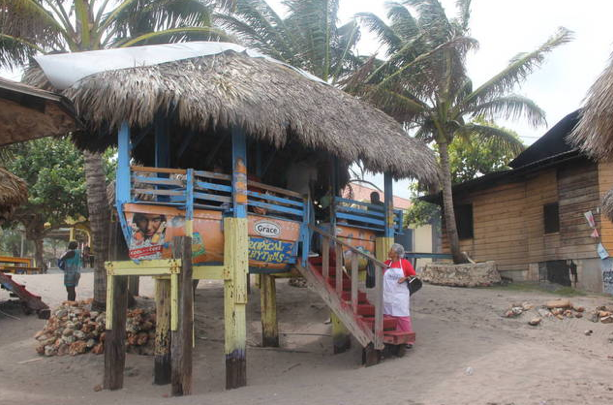 Started in 1989 by Evrol “Blackie” Christian, this little spot has become a favorite destination for Jamaicans (some of whom travel 2-3 hours to get there) and visitors alike who are looking for freshly caught fish and seafood cooked to order. Strewn on the black sand of Alligator Pond as if they had been scattered by some unseen hand, are canoes – the primary means of getting the fish that’s served and sold here – that now have been raised off the sand, outfitted with tables and benches, and sheltered by thatched roofs. Once you place your order, for fish or seafood, and decide how you want it done – steamed, jerked, fried or grilled – it is prepared and brought to your table. I’ve had the steamed snapper and it is delicious. 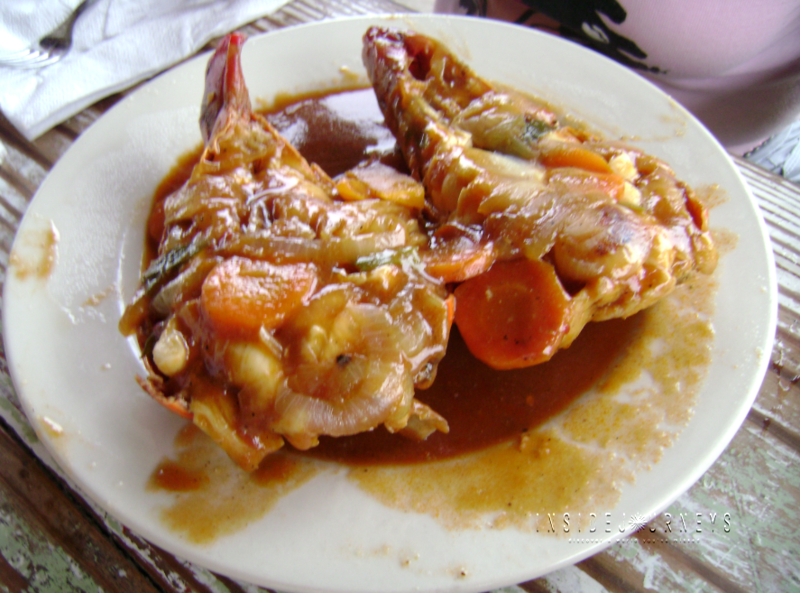 The jerked lobster is to die for but if you visit between April 1st and June 30th, you’ll be out of luck. It is illegal in Jamaica for anyone to have or serve lobsters, whole or in part — this is so that the lobsters can breed and replenish. You can also select sides: roasted breadfruit, bammie or rice and peas. 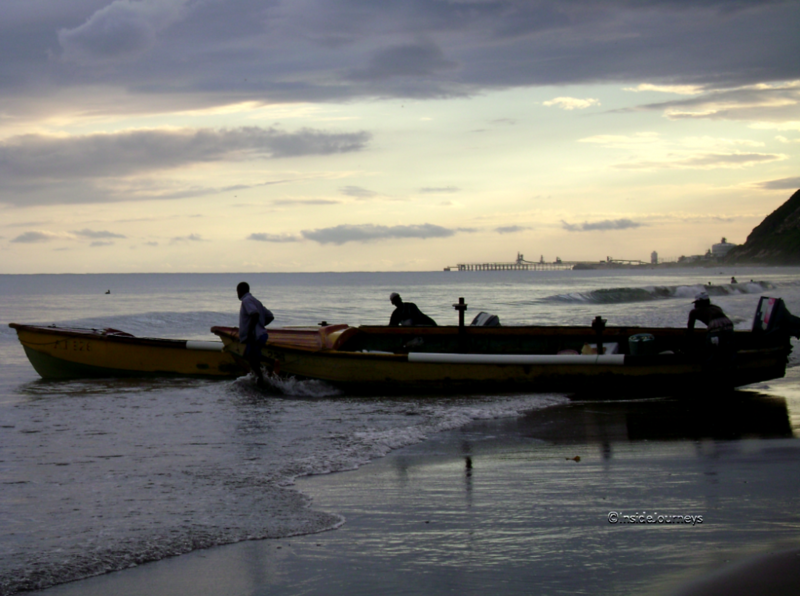 While you wait for your order, grab a cold Red Stripe, rum and Coke or any drink from their extensive selection, or watch the fishermen push off or return from fishing. Little Ochie is more than a restaurant, it’s an experience that delivers big taste without breaking the bank. Like this post? Subscribe to read more, comment and share. This makes me hungry for jerk chicken/ lobster and thirsty for some red stripe! LOL, I’ve been on a food thing lately. Can’t seem to get enough. I don’t drink alcohol anymore, but reading this makes me want to have some curried conch and a cold Red Stripe. Oooh, good idea for another post – conch from Cosmo’s. Thanks for stopping by, Cheryl.